After a January that felt as though it lasted for the same length of time as the entirety of 2017, we have finally reached February. 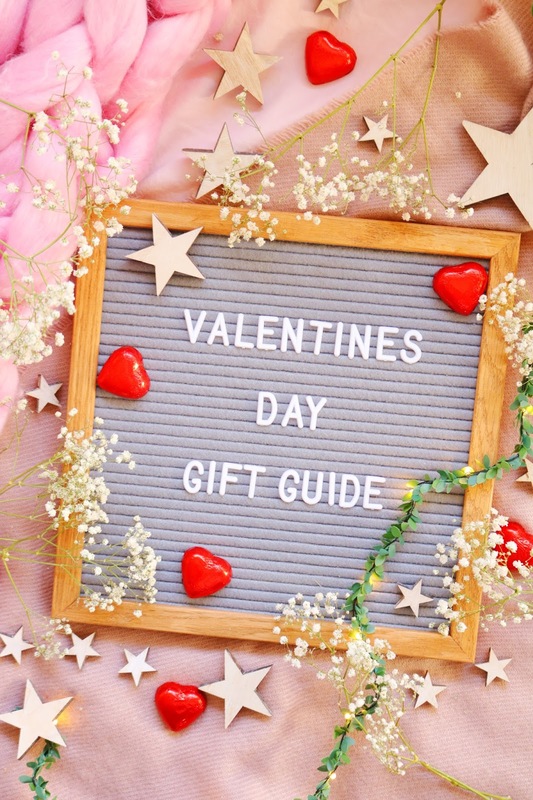 The start of February means that Valentines Day isn't too far away so if you haven't bought a gift for your partner, yourself or friends then hopefully todays gift guide will give you some ideas! Let's start with a cute, unique homeware item. I've been seeing these memo boards on Instagram constantly over the past couple of months and now I know why! I have the small, grey option from Ginger Snap although they have quite a few other colour options to choose from but this one fits with our kitchen really well as our kitchen is cream and grey with oak details. I've mentioned Feather and Down on my blog previously and I genuinely love their products, especially the shower cream which I've used up now and the pillow mist which I'm using so sparingly as I love it! I adore the packaging, the scent of the products is just heavenly and relaxing and the prices are reasonable for the quality. This cute, inexpensive set contains the wonderful Pillow Mist (50ml), Melting Shower Cream (50ml) and a chamomile tea bag. The price is amazing as this set looks much more expensive and it would make a lovely gift for Valentines Day or Mother's Day which is coming up in the UK very soon. Next up is an extra special, personalised gift idea from Gifts Online 4 U that would be ideal as a valentines day gift, anniversary gift or wedding present. 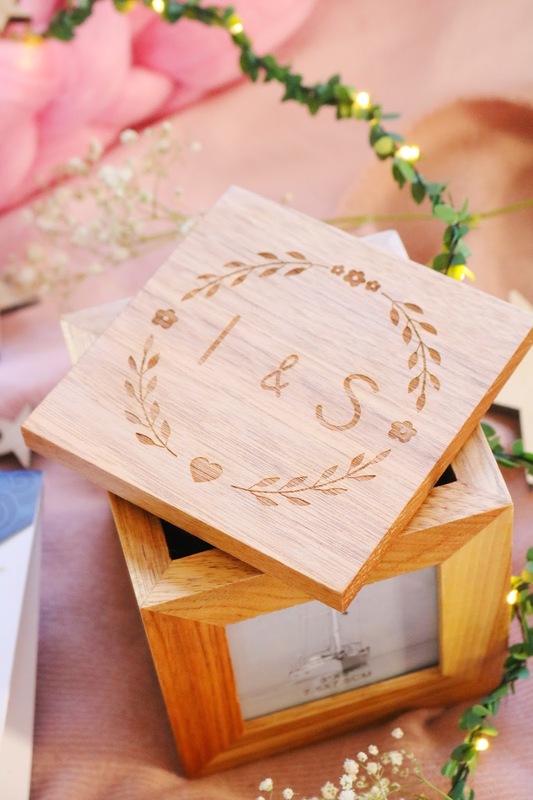 The photo cube is made of oak and it's 11cm by 11cm by 11cm which is a great size as it isn't tiny but it won't take up too much space as well. The photo frame cube can be personalised with your initials or your gift recipients initials which makes the gift extra special and personal. I love the cute engraved design on the lid of the photo frame, it's a lovely substantial gift and it has four sides to the frame in which you can add your own photos or leave it blank for your gift recipient to add in their photos. It's such a unique, special way of displaying some of your favourite photographs. 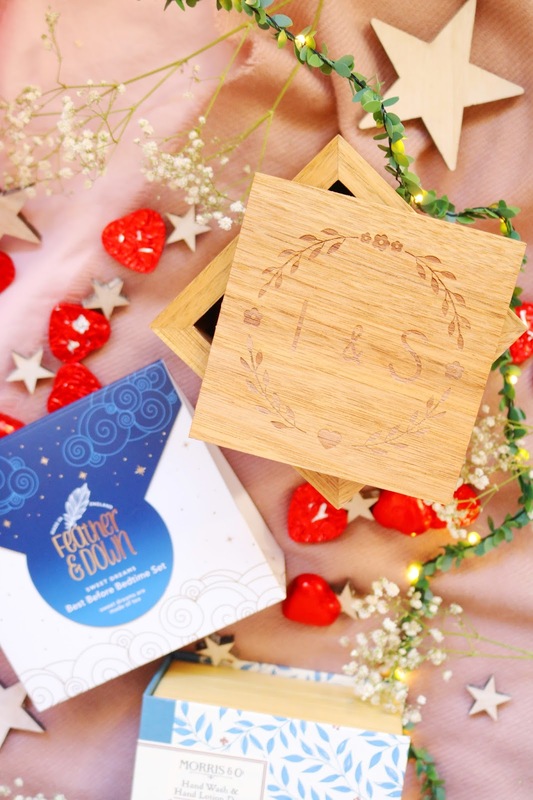 As well as the photo cube frame, it also comes with lots of wrapped chocolate hearts within the cube; however you can use it to store other items in when you or your gift recipients have finished all of the chocolates. I love all of the gifts within my gift guide, obviously, but I think this is one of my favourites as it is just so special and unique being a food gift, personalised photo frame and storage box all in one. Gifts Online 4 U offers free UK delivery and they have such an amazing range of gifts to choose from for valentines day, birthdays, mothers day and many more including engraved gifts for her and personalised photo frames. The penultimate gift with my first gift guide of 2018 is a lovely hand care duo from Morris & Co. I've been lucky enough to feature some of their gifts already on my blog, within my christmas gift guides last year. The set contains a cleansing hand wash and a moisturising hand lotion, both of which are large 300ml bottles. I adore the packaging of this duo as it looks almost like a decorative book of love themed poems or something similar. 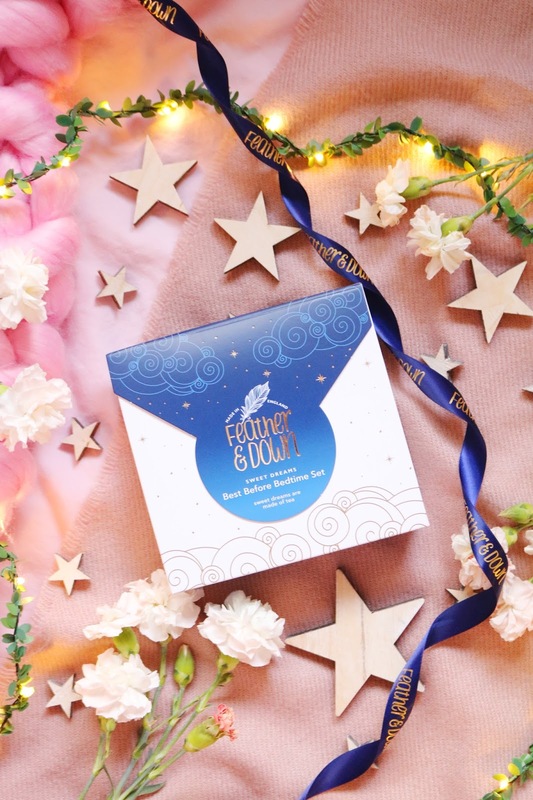 The packaging of the products is equally as gorgeous and I know so many people who'd love to receive this set as a gift. The hand lotion contains wonderful ingredients such as aloe, vitamin A and vitamin E. Both of the products smell lovely too, it's a sweet floral fragrance! 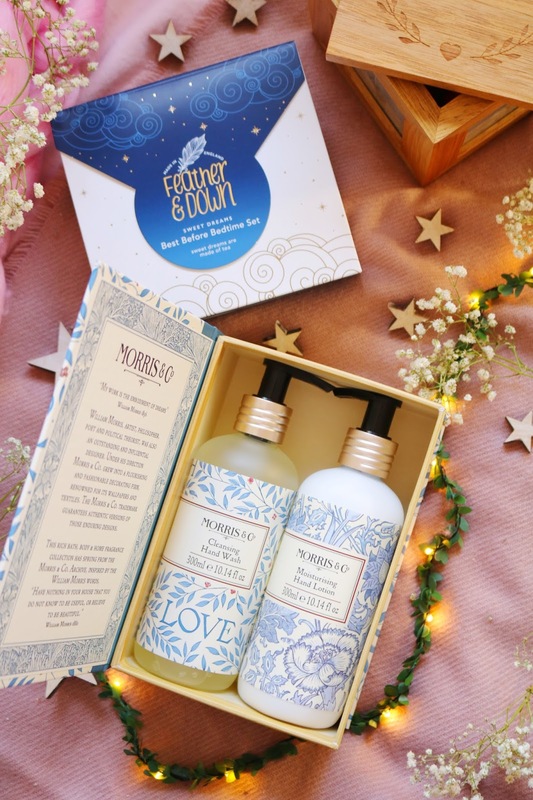 I cannot recommend this gorgeous duo enough - Morris & Co have an amazing range of gifts! The final gift is a little more practical and we all know that I love practical presents! 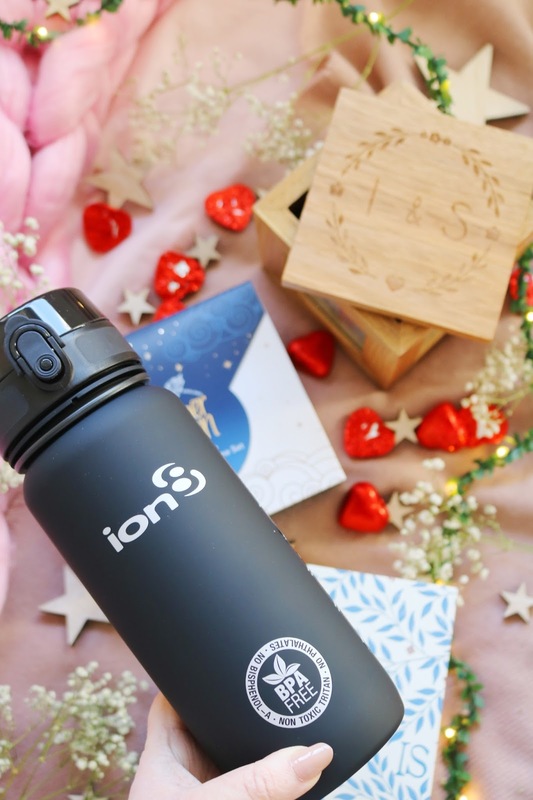 If you have anyone in your life that loves the outdoors, hiking, cycling or sports in general then a fantastic, durable and leakproof water bottle will make great gift. I have the 650ml solid carbon option that I have been using constantly since I've received it as it's been crucial in reaching my daily water intake goals of 2000ml per day. If like me you don't drink enough water then a bottle like this will make it so much easier and you'll be reaching the optimum amount quickly. What do you think of my Valentine's Day gift guide? Have you tried any of these products? The feather and down gift sounds lovely, as done the hand wash and cream duo. I love the Feather and Brown set, it sound so luxurious, and I love the packaging! Ah you have chosen so many gorgeous gifts!